This formula utilizes a high content of the best adhesives available. Opalina added for a pearlescent sparkle effect. 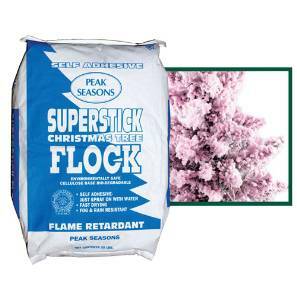 Great for wreaths, trees, natural greens, boughs and centerpieces. High Adhesive content. Sparkling effect. Fast Dying. Flame retardant. Easy to use bags.